"But Ocean Isle Beach isn't too quiet – at least it doesn't have to be. 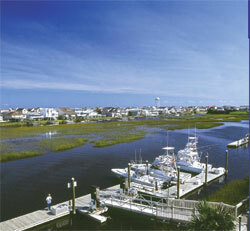 There is plenty to do besides the obvious activities of lounging on the beach and fishing. At least 30 golf courses are nearby..."